I just had my second surgery and was so happy to be back there, actually, and looking forward to final steps! Every one of you (starting from the lovely reception to assistance, to the surgeon), completes this office in such a great, special way! Dr. Davis and his Staff are TRULY EXCEPTIONAL!!! My procedure was one that I avoided for years due to the risk &amp; pain. They explained everything so clearly so I knew what to expect and how the procedure would be done. I was pretty scared, both Dr Davis &amp; his FANTASTIC assistant Holly (my new BFF) were so kind and calming. The Dr even gave me his personal cell # if I needed anything over the weekend. I would highly recommend this office!! When I went into Dr. Davis’ office I had talked to several other doctors about my TMJ and other jaw problems and almost felt hopeless at this point. I had heard about Dr. Davis from many people and decided to go in for a consult. The office is kept very nice and clean, the staff is all very sweet and cute. It felt nice to go into a Dr. appt and feel so calm and welcome. The assistants took such great care of me and prepared me to see Dr. Davis, they were super sweet. Dr. Davis came in and I could feel that he genuinely cared about how he could help me. He is very knowledgeable and you can tell he knows what he is talking about and has your best interest in mind. He helped me out with my jaw and made sure I knew he would continually be there for me to help me feel better. I’m so grateful for Dr. Davis and his staff for helping me! they are AMAZING!! I’ve had Dr. Davis do two implants after failures by my dentist and a specialist who is very good with root canals. When I had problems with a third tooth after a crown that quickly became infected, I decided to short-circuit the process and go straight to Shawn. He worked me in the same day, removed the bad (broken) tooth very carefully to avoid damaging the bone, and put the implant base in the same day, shaving months off the healing process. Within a day, the tooth and jaw felt vastly better. Pain gone. Zero. No pain at all after 48 hours. Dear Dr. Davis & staff, Thank you for the kindness you showed in taking care of me during my teeth/mouth surgery. You are all very professional and know just how to treat your patients! It was a great experience and am glad I had it done. Dr. Davis and his staff are great to work with. His expertise and experience make the process much less stressful. Dr. Davis also took the time to follow up after the procedure to ensure that all was well. I would recommend him to everyone! Dr. Davis did my implant surgery and I couldn’t have been more pleased. He took a great deal of time to explain the procedure and answered all my questions. He is the finest oral surgeon I have ever been to. His staff is amazing! Very professional yet warm, friendly, and caring. I would highly and unequivocally recommend Dr. Davis. Dr. Davis and Staff, Thank you for the beautiful flowers. What a lovely surprise! I want to express my deepest appreciation for the comforting care I received. Everyone in your office treated me with smiles, humor, and respect. I can’t tell you how much that ment to me. You’re a delightful and professional group. Thanks again. I just wanted to thank you for working with me through getting my wisdom teeth out! Even though I was a nervous wreck. You guys made the whole experience completely comfortable & enjoyable. Also, thank you for giving me options & helping me make an informed decision about my treatment plan. You guys are awesome! We just wanted to thank you again for the help and kindness that you and your staff showed us when we were there. We don’t know any other doctor that would be that kind. If we ever need an oral surgeon, we will be back. Also, if we know of anyone looking for a surgeon we will certainly recommend you. I’d like to thank you for the excellent job you did on my tooth extraction. The surgery went much smoother than I had anticipated. I was greatly impressed by your great care and concern for my well being as a patient. I was especially impressed by your ability to help me relax and overcome any fears or stress that I was feeling. I would highly recommend your services to anyone needing oral or facial surgery. I just wanted to thank you again for the excellent job you did on my tooth and the cyst you removed. You have to trust the surgeon your dentist recommends. My dentist said you put the best post in and if he had to have one he would have had the one you put in because it was the best. I appreciate what you did and I will recommend you to anyone. From the moment I entered your toothy world, I was treated with exceptional kindness and respect. In the waiting room I did not wait past my appointment time… unusual for any doctors office! truly am inspired and appreciative. Thank YOU ALL, and I look forward to seeing you on June 2 and to having new teeth! Thank you and your staff for the work all of them and you did to make the extraction of a tooth as comfortable as possible. From the first time I called until I left the office everyone was pleasant in an uncomfortable situation. The online forms were an added bonus. Thank you! Thank you for your calming and kind care you took of me. I have had some rough past dental procedures. I was less than excited about being in a dental office, even though I grew up and worked in one. Thank you again for your talent and kindness. Thank you for performing Lindsey’s surgery, we know she had the best Doctor in St. George! Dr. Davis recently did surgery in my mouth that I was nervous about having. His staff was amazing with my several phone calls and questions. The day of surgery Dr. Davis came in before the surgery and reassured me that everything would be ok. There was also follow-up after surgery. I was so surprised when I had flowers delivered from Dr. Davis and my dentist jointly. I would highly recommend Dr. Davis and his staff. Dr. Davis Team, Thank you so much for taking care of me before, during and after my surgery! Big Grateful Hug from Escalante. Thank you to all of you for making me feel safe and comfortable in your caring hands. I’m excited and looking forward to having a fully restored mouth in a few months. Please know how much I appreciate your kindness and professional care. Dr. Davis and his office staff are absolutely fabulous! My surgery went so well and the recovery was so quick :). They took great care of me! They are fun, friendly and fair. I would recommend their office to everyone! Dr. Davis, Aimee, Lexi and the rest of the staff are wonderful!! Thanks so much! Dr. Davis, You definitely made a dreaded surgery very comfortable. I truly feel blessed to have you for a doctor. Dr. Davis, You certainly made me feel special! You are an outstanding doctor! I am impressed with your work and appreciate all the time you spent perfecting your skills. During my oral surgery, I was made comfortable and at ease. I feel very fortunate to be in your care. Thank you for the excellent care your office showed me during my tooth extraction. You make a trying experience durable and I was grateful for the professional way the financial part of the treatment was handled. My experience was great in all areas. I just wanted to say thank you to and your office! You guys are so sweet and kind and professional! You were so gentle during my dental procedure, and your whole staff is just awesome. Thank you so much for everything you have done and thank you for having an awesome staff! I appreciate you guys! Drs. Davis and Metcalf are both excellent practitioners. I am a general dentist and I completely trust them with the care of my patients, my family, and myself. Whenever I have a patient with a difficult situation, I know exactly who to ask, and they are both so knowledgeable and helpful.  My patients generally have a wonderful experience with them and their talented staff. Dr. Davis, Thank you for being so kind, caring and knowledgeable. Your rapport with patients is wonderful.  “The most rewarding part of my practice is being able to give my patients a healthier lifestyle, a beautiful smile, transforming their lives, and making them happy. That is the reason I come to work every day!” – Dr. Davis. “The best part of my day is being able to make a possibly stressful procedure into something that can be comfortable for my patients. I want to ensure that every patient has a pleasant experience at our office.” – Dr. Metcalf. “The best part of my day is being able to make a possibly stressful procedure into something that can be comfortable for my patients. I want to ensure that every patient has a pleasant, experience at our office.” – Dr. Metcalf. 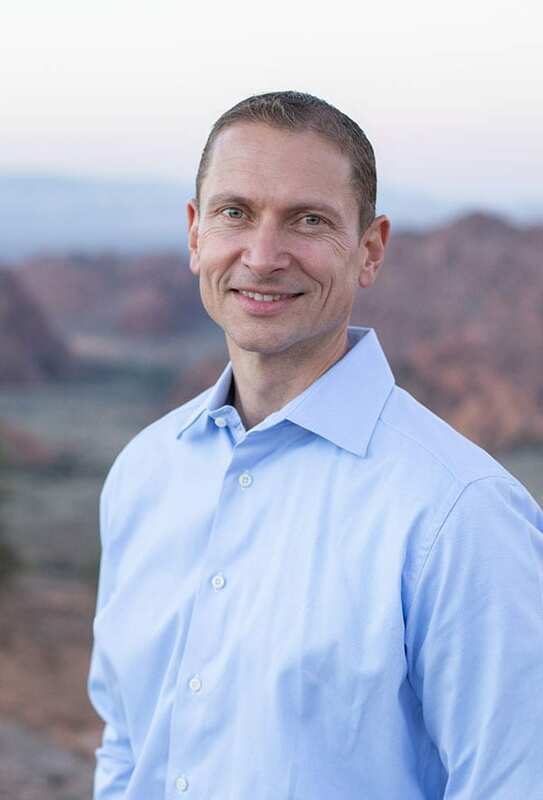 Dr. Shawn B. Davis and Dr. Jamison P. Metcalf are board-certified oral and maxillofacial surgeons in St. George, Utah, meaning they have completed years of additional specialized training beyond dental school. 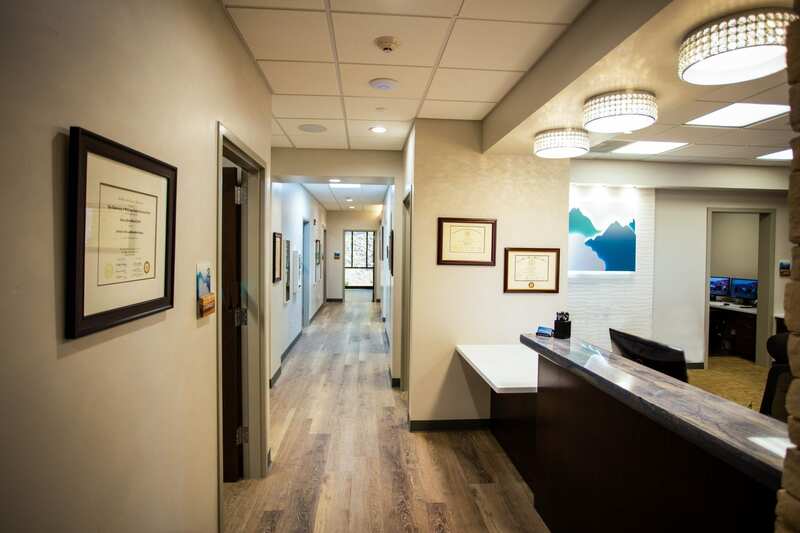 This allows them to provide life-changing oral and facial surgery, including wisdom teeth removal, orthognathic surgery, dental implants, jaw surgery, TMJ treatment, facial reconstruction, and teeth in a day. 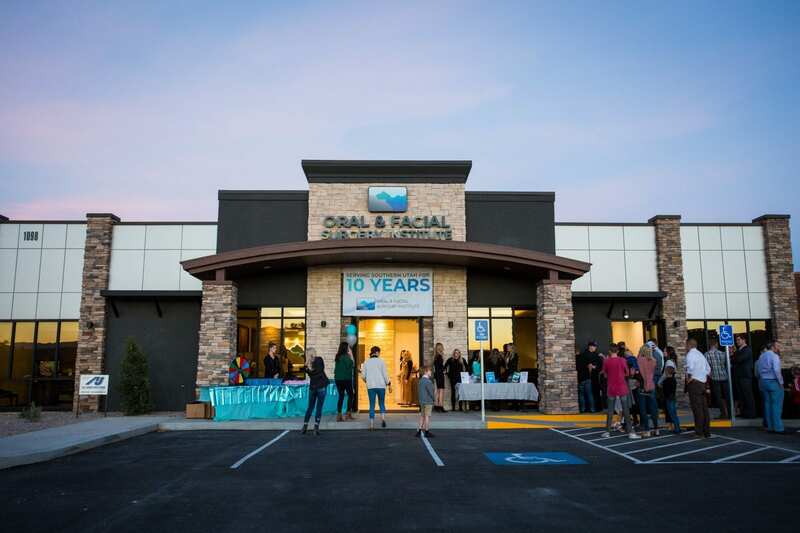 At the Oral & Facial Surgery Institute, serving Southern Utah, Northern Arizona, and Nevada our number-one priority is to provide you with the finest care that oral surgery has to offer. Our highly trained team will make you feel comfortable and welcome in a warm and professional environment. We believe that everyone deserves to smile with confidence. No one should have to feel self-conscious or withdraw socially because they are embarrassed by their teeth.  With state-of-the-art dental implants, Drs. Davis and Metcalf can restore your beautiful smile and quality of life. For us, there is no better feeling in the world than making a difference in our patients’ lives.  Let us make a difference in yours—schedule an appointment at our oral surgery office in St. George, UT. We welcome patients from St. George, Cedar (Iron County), Mesquite, Kanab, Page, Delta, and the surrounding communities.